UNIQUE OPAL MINE, Adelaide, South Australia. Information, Photos and Reviews. A Wholesale Opal located at 5 Rundle Mall Adelaide South Australia. It has the cheapest prices and best quality opal available with an international guarantee. Adelaides largest opal wholesaler and manufacturer for over 30 years. Unique Opal are manufacturing 7 days a week and ready to offer our expert advice as to the different types of Opals available. Adelaide is known as one of the best places to purchase opals as over 70% of the world’s opal is found in the South Australian fields thus making the raw material more accessible. 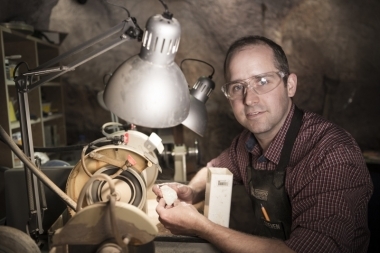 Unique Opal and Diamond Manufacturers Mine are true manufacturing opal jewellers and opal cutters in Adelaide – so you know we aren’t just salespeople, we are true experts in what we do! You will see our handmade quality workmanship and range is second to none. As well as a large and personally selected range, we can take the raw stone (straight from the opal mines) cut it, polish it, and set it into a beautiful piece of truly hand crafted jewellery exactly to your specifications – Unique for you, right before your eyes and within hours. 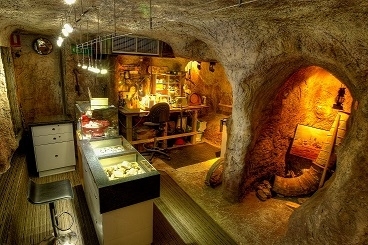 Unique Opal Mine have a beautifully created underground opal mine in thier store for you to explore, bringing to you the “Coober Pedy Experience” with the convenience of an Adelaide Rundle Mall location. In our mine you can see the veins of real opal as they would naturally occur in the rock and explore different regions of opal mining throughout the Australian opal fields. Take a few minutes to sit down and watch our short documentary on opals, explaining the different types, the regions where they are found and how they are formed. 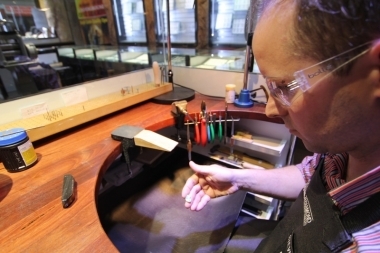 If you are lucky, one of our friendly jewellers may be in the process of cutting and polishing the raw stone on the equipment located in the mine area, and you can watch this amazing process of shaping and polishing these beautiful opals first hand! We are 100% South Australian owned and operated. Nobody has reviewed UNIQUE OPAL MINE yet, Be the first. You are submitting a booking enquiry. UNIQUE OPAL MINE will then contact you by email with details of availability and prices.